HomeBlogUncategorizedMay all of our Veterans feel honored today! Designed by Anthem resident Renee Palmer-Jones, the five marble pillars represent the five branches of the United States military. They are staggered in size and ordered in accordance with the Department of Defense prescribed precedence, ranging from the United States Army, the United States Marine Corps, the United States Navy, the United States Air Force and the United States Coast Guard. 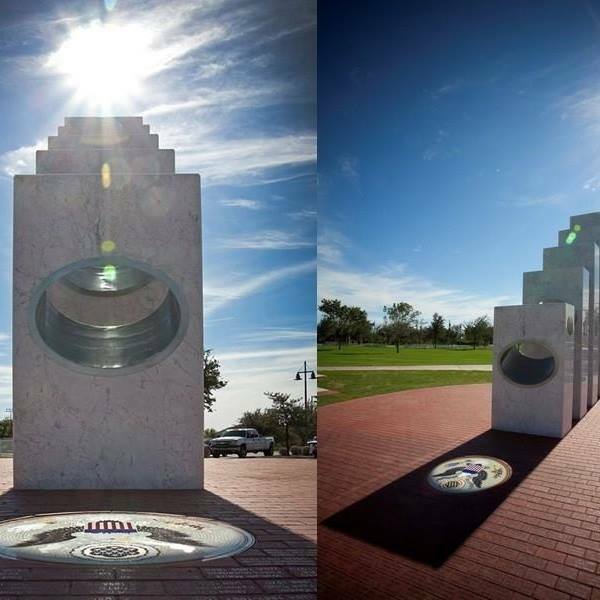 Anthem resident and chief engineer, Jim Martin, aligned the five pillars so that at precisely 11:11 a.m. on Veterans Day (November 11), the sun’s rays will pass through each of the five pillars’ elliptical openings to illuminate a glass mosaic medallion of the Great Seal of the United States.